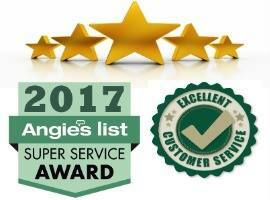 Experience The BEST in Exterior Cleaning Today! 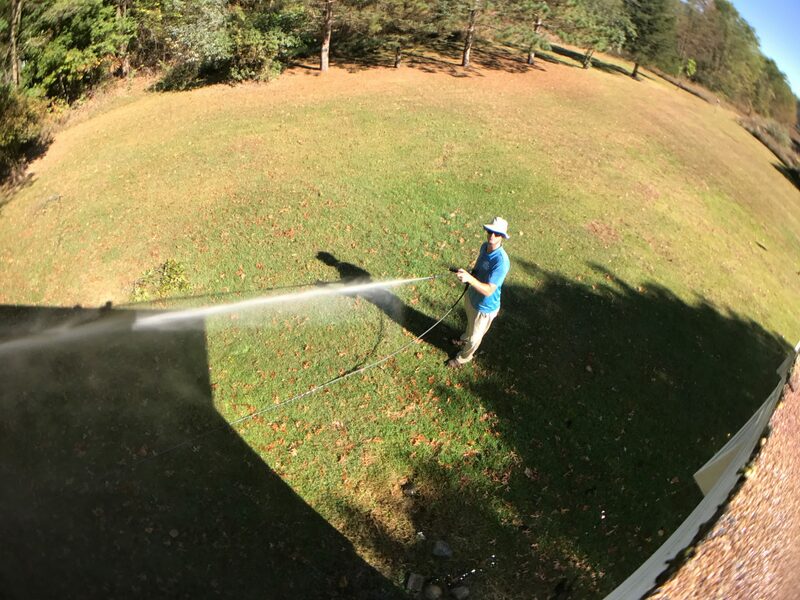 Low Pressure Roof Washing or Softwashing is the use of low-pressure to apply a cleaning solution formula, letting the solution dwell giving it time to do the hard work, and then rinsing the grime away. Diamond Dazzle Cleaning LLC. is a cleaning company that aims to build long term relationships and offer quality services at affordable prices. We want to add value to your home by removing any undesired buildup of dirt or grime. 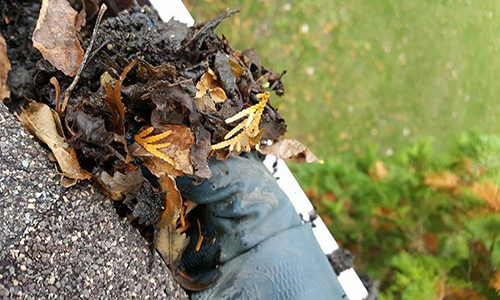 Debris can accumulate fast in your gutters and not cleaning them on a regular basis will mean your water won’t be able to drain properly. 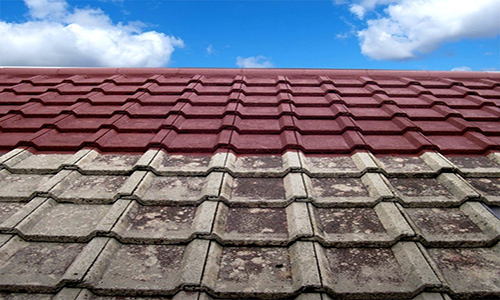 This build up of water can damage your roof and weaken its structure. 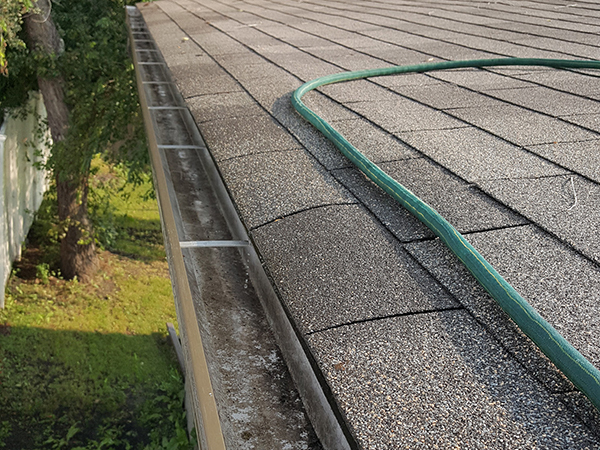 Clogged gutters will also cause water to pool up at the base of your home which can weaken and damage your foundation and potentially your basement and ground floor rooms as well. We are a local family owned and operated company that takes pride in helping you to keep your home looking its best. We work hard to provide the most outstanding service and quality, because we know that the key to our growth and having great relationships relies solely on your happiness and satisfaction. Accidents can happen, so why take a chance by choosing any company, that is not insured, to work on your home or business? We are fully insured and bonded so you can be comfortable knowing that your property is legally protected from any mishaps that may occur while we are working on your property or around those you care about. 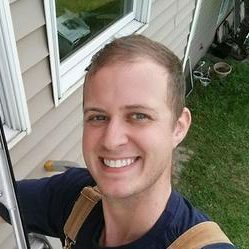 With years of experience window cleaning and pressure washing, and a focus on excellent customer service, Diamond Dazzle would love to be the company you turn to for all of your window cleaning, pressure washing needs right here in Hastings, Michigan and surrounding areas. It’s one thing to have someone come into your home, wearing board shorts and flip flops, to show that you can trust them. It’s another thing to see a professional uniform wearing technician that knows exactly why they are there, and also what you need from us to solve your problems. You can always trust a technician wearing a uniform! We believe the true measure of an outstanding company is not what the company says about themselves, it’s what their customer say, or your neighbors for that matter. Our customers continually recommend us as the best cleaning service provider in the Hastings area. We’ve developed such a rapport with our customers that they feel comfortable leaving their home in our care, so they can continue on with their busy lives. All of our work is 100% guaranteed. We will even walk around the home with you to show our work, and you don’t pay until you are satistified. Not only that, but we won’t leave until you are. If we tried everything we could to satisfy you and you still aren’t happy? We will refund you the full amount of the job, GUARANTEED! You demand high standards when it comes to your home. It’s not just an investment – it’s a central part of you and your family’s lives. 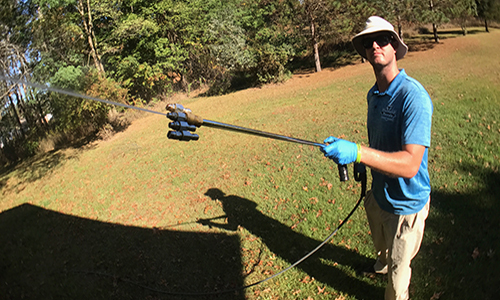 We are the best choice for exterior cleaning, and that is because of our commitment to stringent work methods and unparalleled customer service. Our success begins with the right people. We aren’t a company of mere laborers, but we do endeavor to give you the best-trained cleaners in the business. By using our unique certification system, we are actively involved in the progressive advancement of all our employees. That means our work crews are always getting better. We don’t only focus on technical skills such as safety and window cleaning technique, but we also focus our efforts on customer interaction and satisfaction. Couple this with state of the art equipment and German engineered tools and you get a winning combination as well as peace of mind. How Does Pressure Washing Help Me? 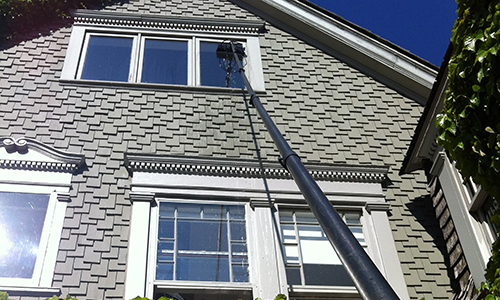 There are a variety of pressure washing techniques used to cover various types of surfaces. Some techniques, along with different types of equipment, are designed to blast intense pressure to remove dirt and grime from certain types of surfaces like sidewalks and driveways. Specialized accessories and techniques have been developed by professionals in our industry to help protect property and also leave a meticlous clean at the end of the job. What’s a Lower Pressure Roof Wash? Softwashing is a process consisting of applying a cleaning solution, letting the solution dwell giving it time to do the hard work, and then rinsing the grime away. Lichen, moss, mold, mildew, algae, road grime and dirt don’t stand a chance against soft washing and low pressure washing. 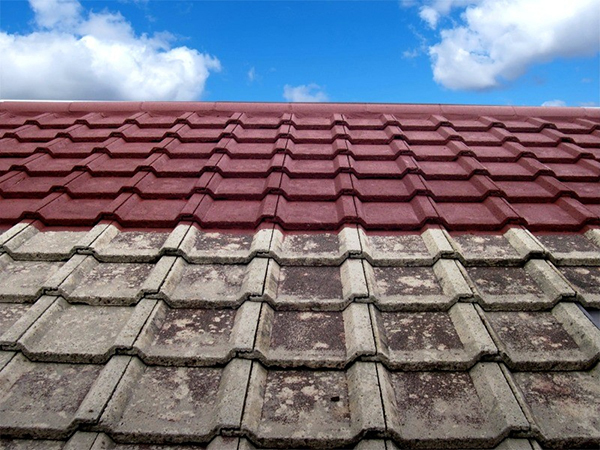 Softwashing is very effective for roofs, siding, signs, and various types of exteriors that can’t handle high pressure methods. Thankfully, we can help you with all of these things! 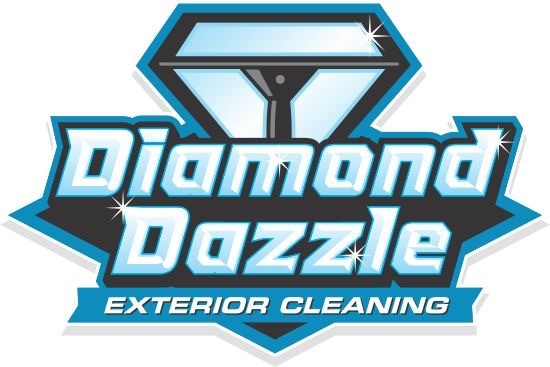 Locally owned and operated, Diamond Dazzle Cleaning LLC. is equipped to help your home dazzle like diamonds. 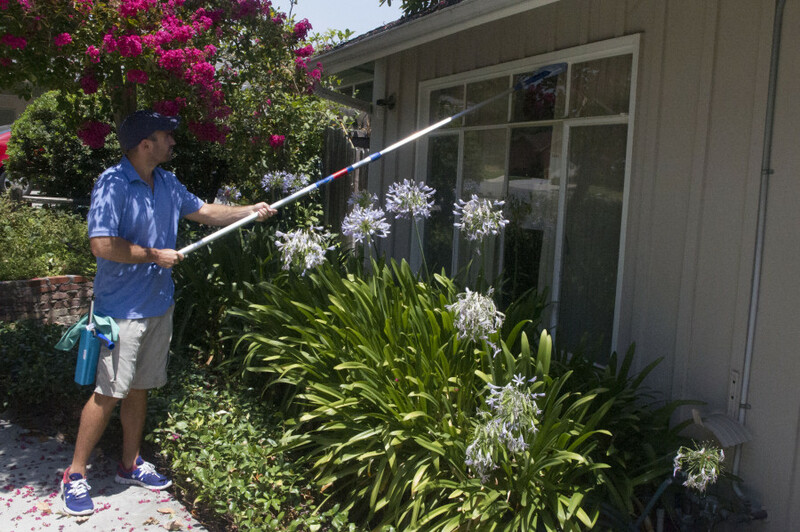 We are experienced in exterior cleaning and have all the tools available to provide homeowners and businesses with an affordable service that adds value to your home.